Questions Management is deployed under the Microservices model, each service is a project, so managing these projects effectively is essential. 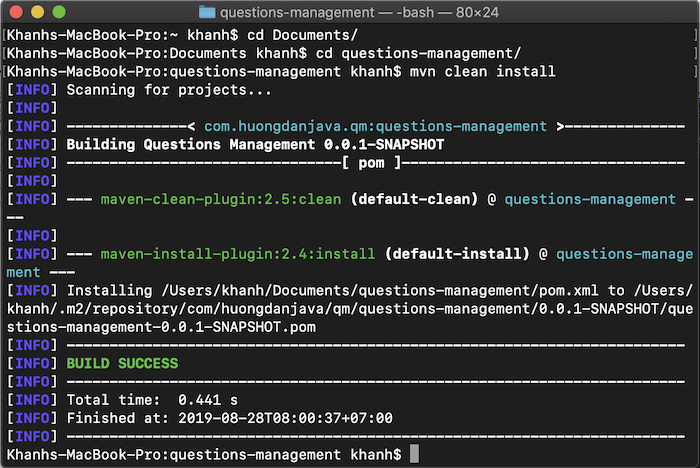 I have shown you how to manage multiple projects with Apache Maven in the previous tutorial and this is an effective way to apply to the development of the Questions Management application. In the first article on this Questions Management application, we will create questions-management parent project using Spring Tool Suite, a Maven project to manage all of the corresponding projects for each of the services in this application. 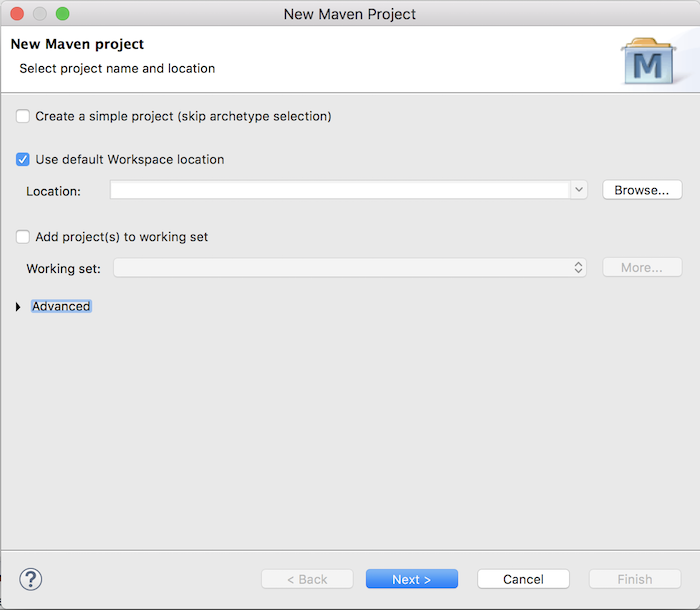 We will not use Maven Archetype, so you just click on Create a simple project (skip archetype selection) to skip this selection and click Next. 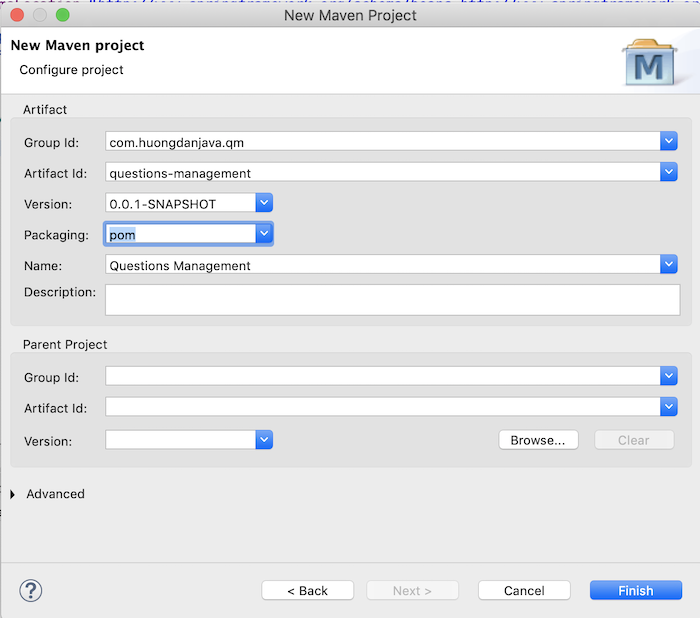 Click the Finish button to finish creating the new Maven parent project for our Questions Management application.